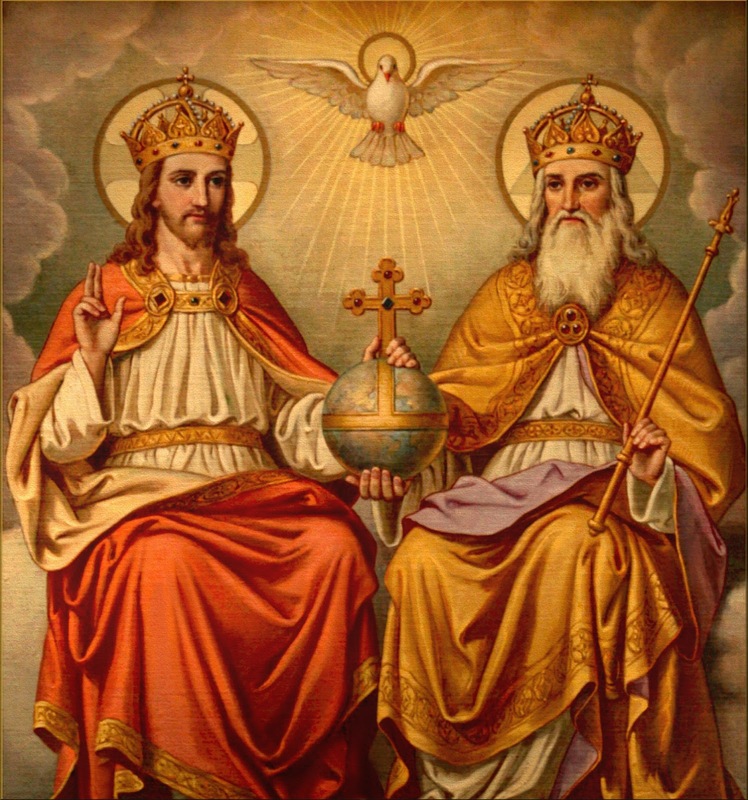 To the highest Glory of the Most Holy Trinity. We are a small group of Traditionalist Catholics existing to preserve the Traditional practices of the Church. We adhere solely to the Rite of Mass Codified by the Council of Trent in 1570, and to all Rites and Usages Codified by the same Council and in Venerable Usage until the Heresies of the Second Vatican Council. We regard these Traditional Rites as fitting for the expression of Divine Worship. We know that the Rites invented by the new Montinian Church are null, void and invalid. Although we cultivate theological accuracy as a Religious Community, nevertheless unlike many Traditionalist groups we do not engage in debate, or arguments concerning Validity of other groups’ Orders, the minutia of Ritualistic practice, or the rights and wrongs of Vatican II. Such arguments cause further wounds to the body of Christ and are not conducive to the practice of true religion. 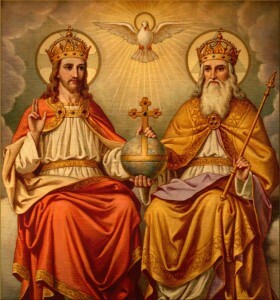 We are totally indifferent to the so-called new Church, and concentrate on living according to God’s Law, along with the Commands of our Holy Mother the Roman Catholic Church. The Community, while living in the world, attempt to live according to the Rule of Saint Augustine as much as is practically possible. We are self-supporting having to engage in secular work to cover our expenses. We started out in the 90s as a group of five priests, having been ordained by a Thuc line Bishop in France. We first worked with a group of disaffected Catholics on the outskirts of London. After the death of three of our number in quick succession we were forced to downsize. Since this time we have been working with a group of Traditionalist lay people in South East Kent for some nine years. 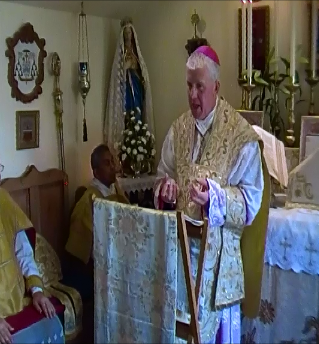 Msgr French preaching in his chapel.